Vice president Yemi Osinbajo has vowed that the Peoples Democratic Party (PDP) will not be allowed to return to power again. 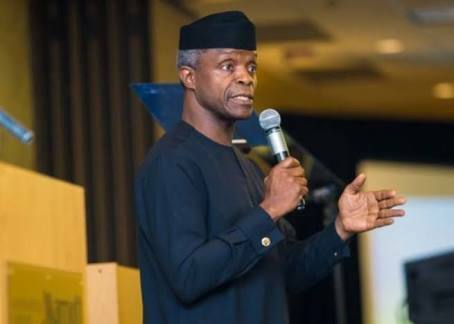 Osinbajo said this on Saturday in Lagos while speaking at the inauguration of the All Progressives Congress (APC) Door-To-Door-Campaign flag off of the Professor Yemi Osinbajo (PYO) Support Group. Hey Buddy!, I found this information for you: "PDP Will Never Come Back To Aso Rock, says Osinbajo". Here is the website link: https://headlinenews365.com/pdp-will-never-come-back-to-aso-rock-says-osinbajo/. Thank you.